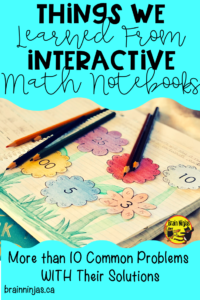 When a colleague told us we should try interactive notebooks in math, we agreed and then went on our merry ways and did math the same old way for another year, so at the end of that school year, she approached us again and DEMANDED we buy an Interactive Math Journal lesson plan set. We took a look, bought it and then went on summer vacation never to think about math for a whole two months. Near the end of the summer we opened it up and it CHANGED OUR WORLD. We will never teach math the same way again. That being said, there are a few things we learned about the process and we wanted to share these tips with you so you don’t have to spend so much time figuring things out yourself. 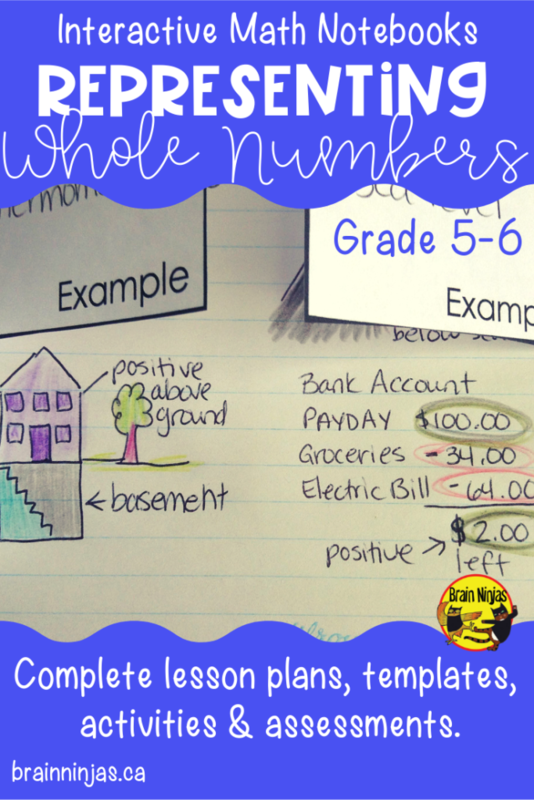 Interactive math notebooks are an investment, but like all good investments they take time to show a good return. Patience is the key! 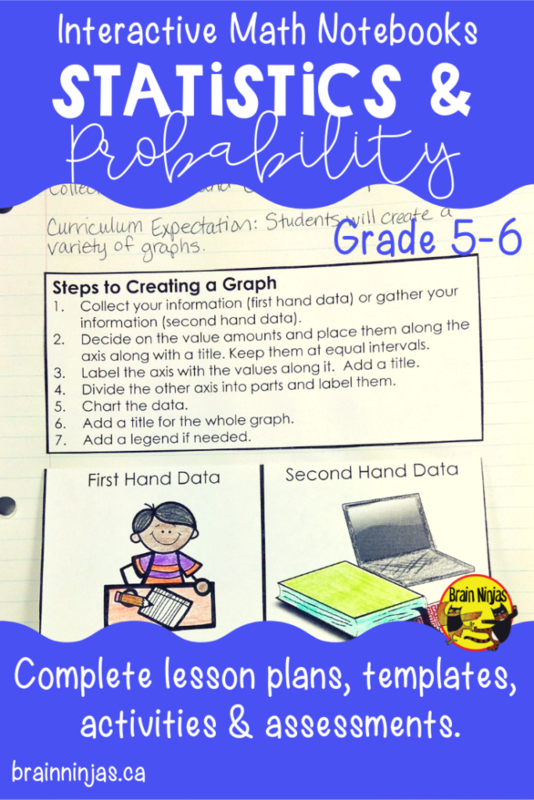 They take time, but they result in deeper understanding, so here are some things you need to know to get the most out of your interactive math notebook journey. Here are the problems with interactive math journals and how we conquered them. The Problem: Students don’t like them. The Solution: Not all of your students are going to like every single thing you do in your classroom because no one is perfect. That being said, your positive attitude can be contagious so be sure to speak as positively about your lessons as you can. 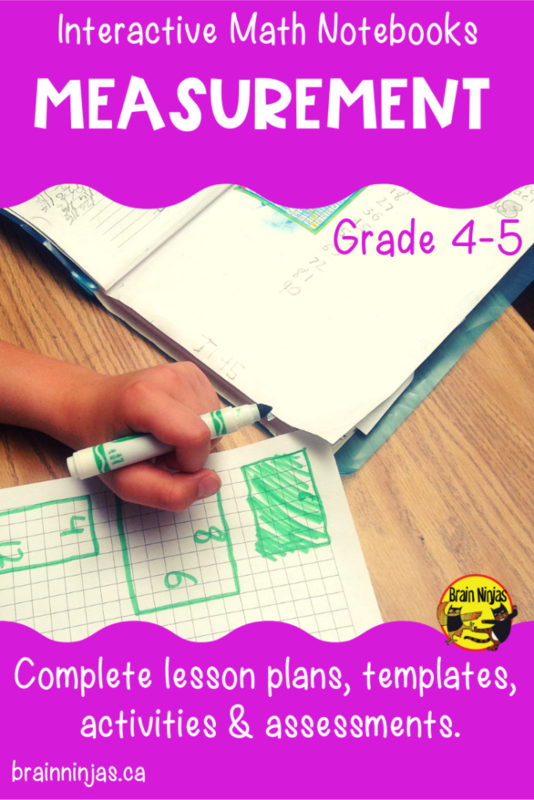 They were more convinced as their understanding of math concepts improved over the year. The Problem: Writing Page Numbers in Order is Hard for Some StudentsWe started out at the beginning of the year writing page numbers on the corners every page. It was excruciating. 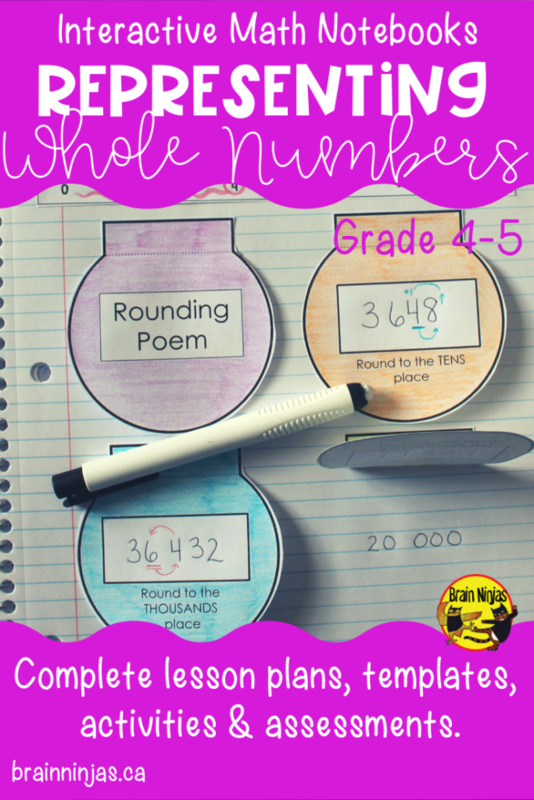 Some students couldn’t keep track, others missed a page and had to go back and renumber them. 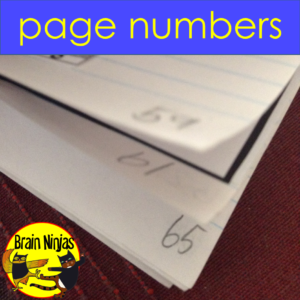 The Solution: We number the pages a few of a time as we go through the year. This also makes it easier to keep the Table of Contents up to date. We used a few minutes at the beginning of each week to sort out pages numbers before diving into the new lessons. 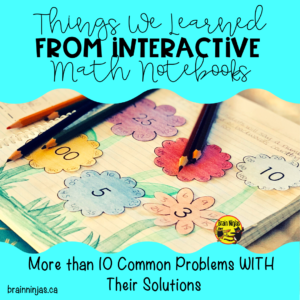 The Problem: Interactive Math Notebooks are time-consuming. The Solution: Yes, but you can help streamline how you get them to work for you with some of our time saving tips later in this post. 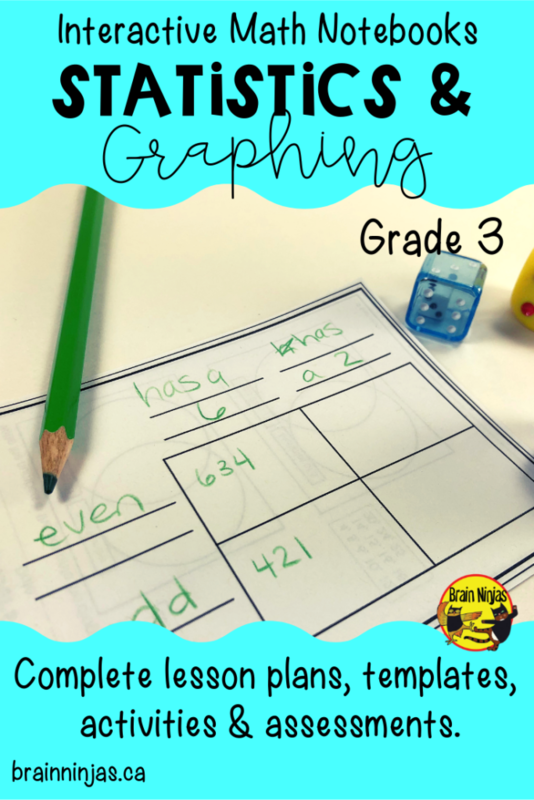 Using interactive math notebooks can actually free up some of your teaching time since students can use their books to refer to examples while they are working independently. 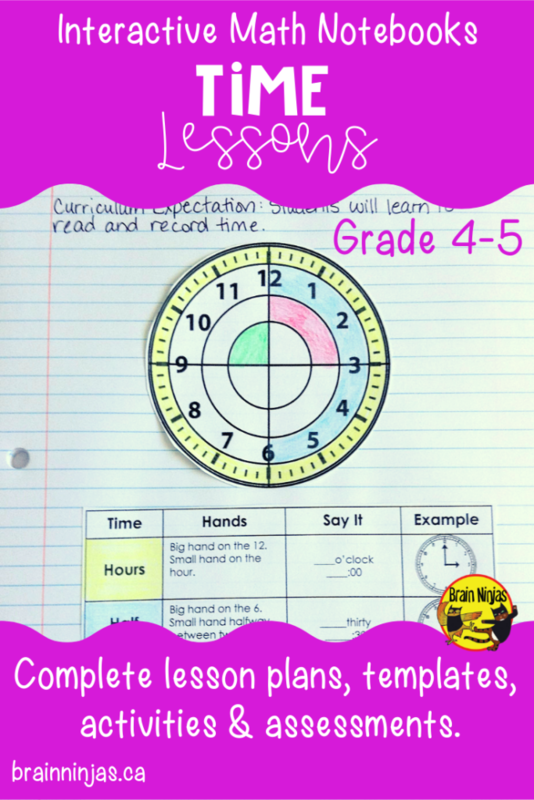 This means you can use this time to target specific students, work with small groups or assess students as they work. 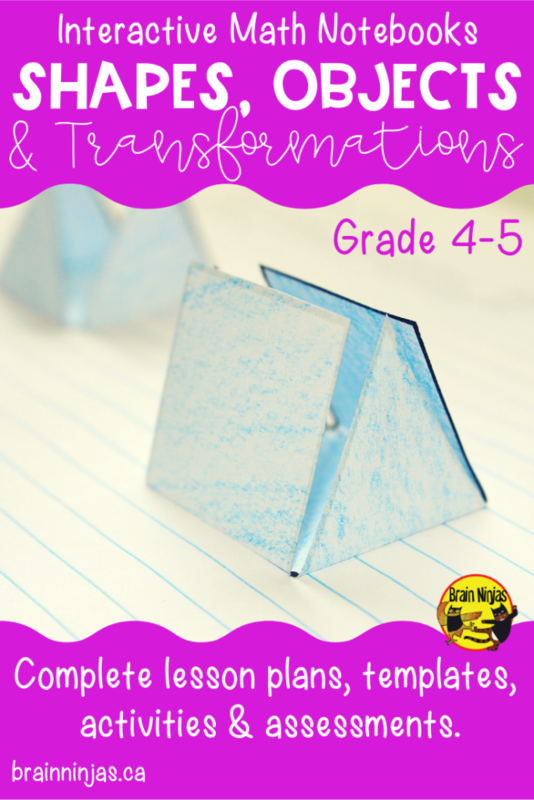 The Problem: Durability is an issue because the books can fall apart from being used all year. 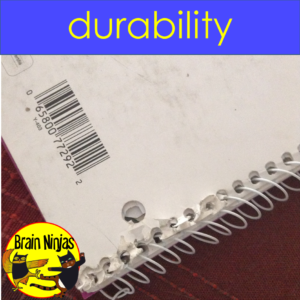 We used notebooks with a metal coil and cardboard covers our first year of journaling. While most of them held up, the ones that fell apart had no way to be repaired. Once a page fell out the book became more of a folder and then pages got lost never to be seen again. We tried out composition notebooks, but when students made mistakes (like gluing their pages shut) it was hard to replace pages. The Solution: We preferred duotangs (report covers that are 3-hole punched) with plastic covers. We will filled them with lined paper and they held up very well. It’s also quite easy to replace pages. If you have suggestions of systems you’ve used with success, let us know in the comments below. The Problem: It’s too much work to be organized. The Solution: Yes, it is work. 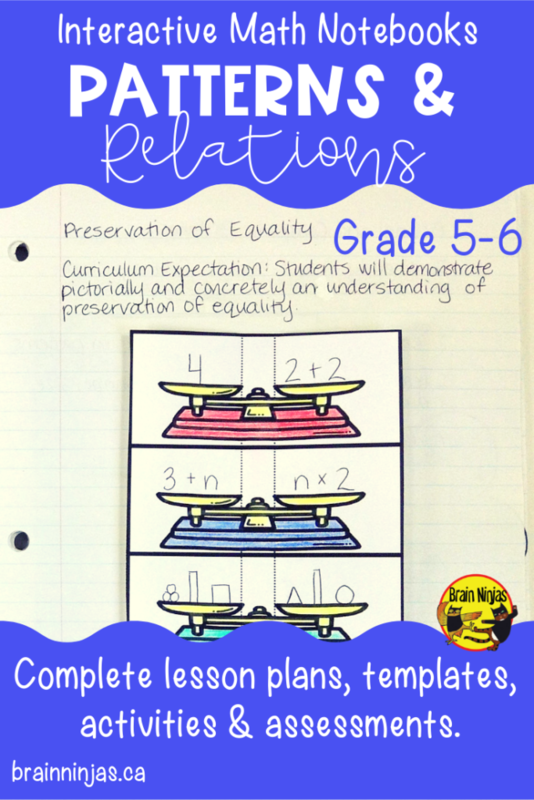 We used a hanging file folder set to keep all of our templates, proof questions and practice pages once they were copied and ready to use. 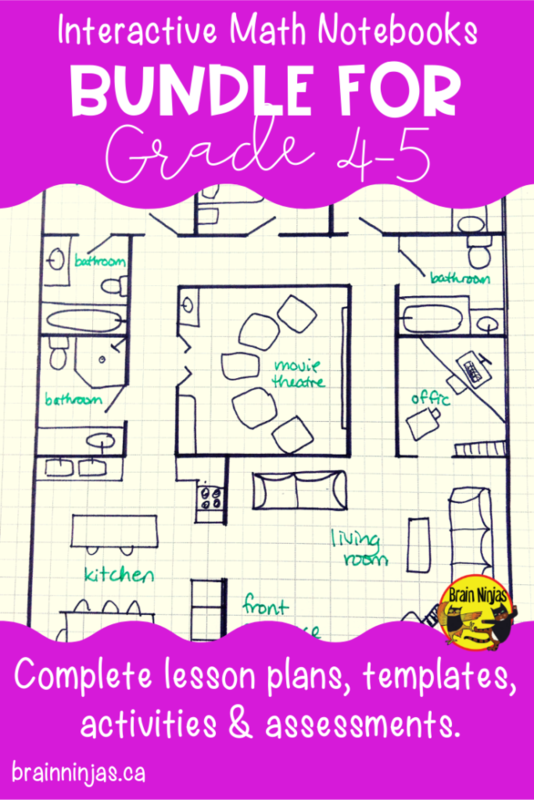 We would set out one copy of each of the templates (by printing them directly from our digital download) and have a helper make the copies for us. We did this once a month right before our cut and glue day. This “batching” reduced the workload and helped us stay organized. The Problem: Aren’t interactive math journals just a make work project? The Solution: If you are having your students make the template pages, but then they place their books on shelf or in a drawer not be seen again until the next lesson, they yes. It’s a make work project. That’s not the intention of interactive notebooks. The key word is INTERACT. For us this means we refer to the template pages ALL THE TIME. 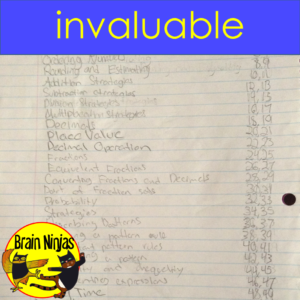 We use them for studying, independent practice, assessments and just about every single time we have math class. The Problem: Students who are absent end up missing pages and never have time to catch up. The Solution: We started doing this near the end of the year, but wished we had started sooner. Make photocopies or take photos of the completed lesson pages so students can complete them independently if they’ve been absent. This also helps when absent minded ninjas leave the master copy elsewhere and it takes ninja super powers to relocate it. Have your high flying students cut out an extra template and have it already attached to the page for the returning student. The Problem: Not all students are able to cut, paste, glue and write in the same amount of time, so it makes whole class instruction challenging. The Solution: Make modifications for all of your students. We had a few students that had fine motor difficulty. One modification we made was having the curriculum expectation typed out so students could focus on the lesson. We also had “scissor buddies.” These were students who worked quickly and would cut out templates for pages on behalf of other students or for students who were absent or needed assistance. We also had one student who would write out their proof page on a device and then would draw on any math symbols needed. This would be printed out and then pasted into the math journal. Making modifications in advance of needing them saves everyone time, but allows you to continue with whole class instruction. The Problem: All that cutting and gluing takes up most of the math lesson. It just doesn’t seem worth it. The Solution: Try having a “cut and glue day” where you just cut out templates and attach them to pages. That way when it’s time to complete the lessons, you just have to write without the finding of scissors and glue and all the mess. We managed to get a month’s worth of templates cut and glued with titles onto our pages within an hour. This sounds like a lot of time, but it meant every lesson for the next month started right away and no extra time was wasted looking for scissors or glue or anything else. 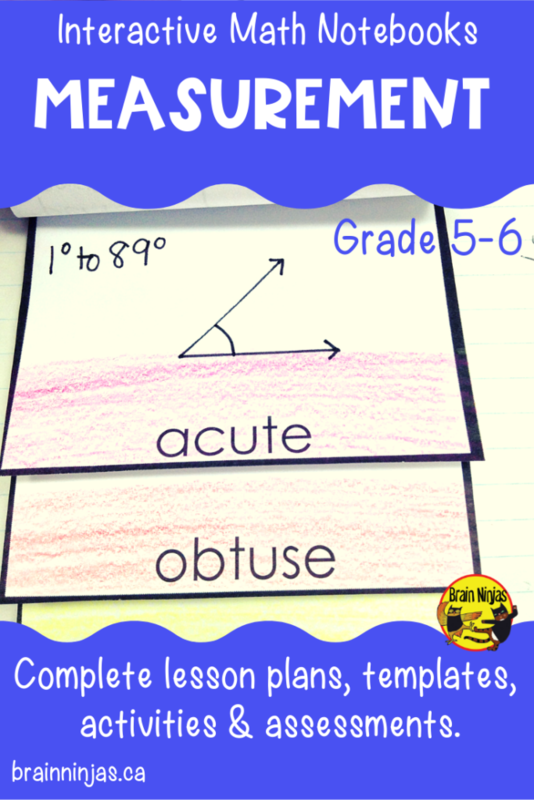 Ninja Note: If you have a student absent on cut and glue day, use their book as the example for students under the document camera and set up their pages yourself as a demonstration. The Problem: I’m supposed to be using the textbook my district provides. 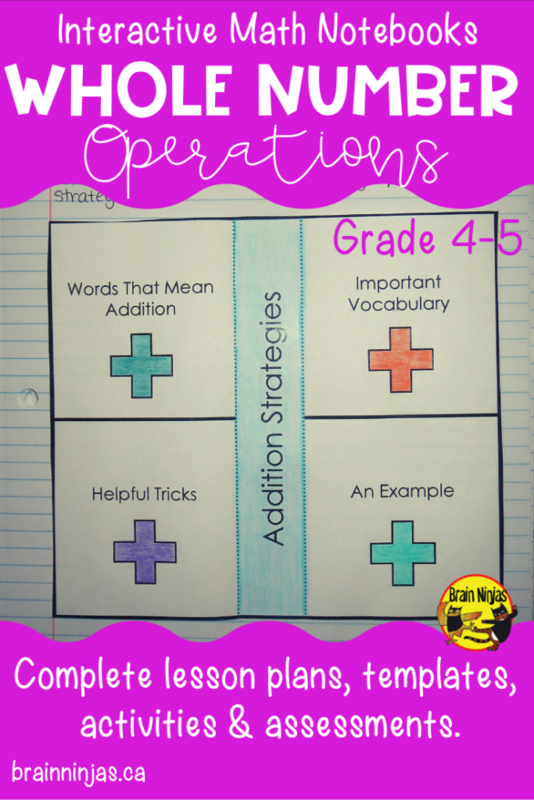 The Solution: Yes, that is what you use to practice all the math skills or show examples as you build the templates. We found our students depended on these books for everything and they became invaluable. Students became very protective of them and no one took them home. 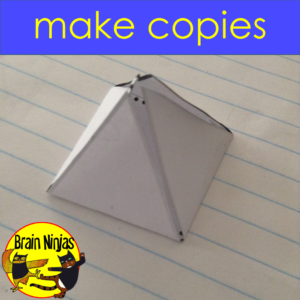 We made copies of pages if students needed to use them at home. 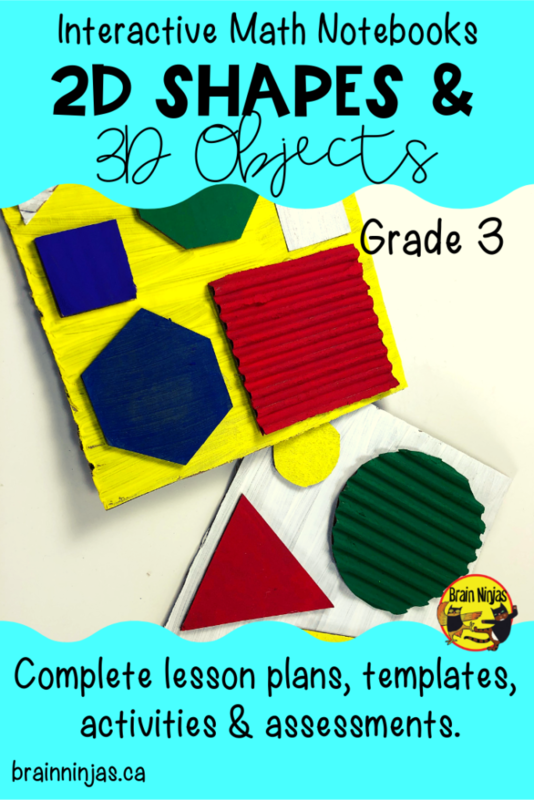 They used them as a resource and many students wanted to keep them to use again next year. It made us think so clearly about the outcomes, the teaching and the assessment that we will be using interactive notebooks in other subjects in the future. The Problem: I don’t think it’s going to work. The Solution: You won’t know what works for you until you try. We didn’t think it would work for us until we tried it. 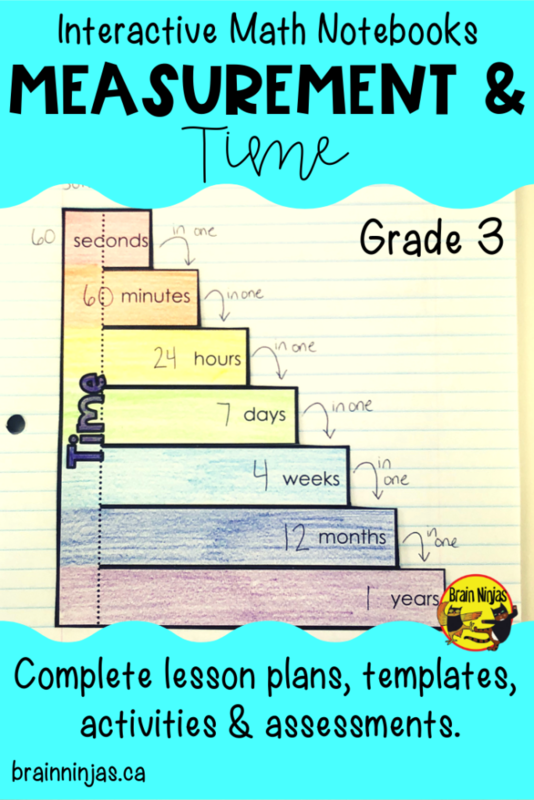 Once we got through the “scaries” and figured out a few ways to streamline the process for our students, we were so shocked at how well it became part of our routine. Students started to know and understand how the process worked and they learned the material SO MUCH BETTER. That in itself is worth the effort. The Problem: I don’t know where to start. It’s so overwhelming trying to figure out what to teach and when or what materials to use. 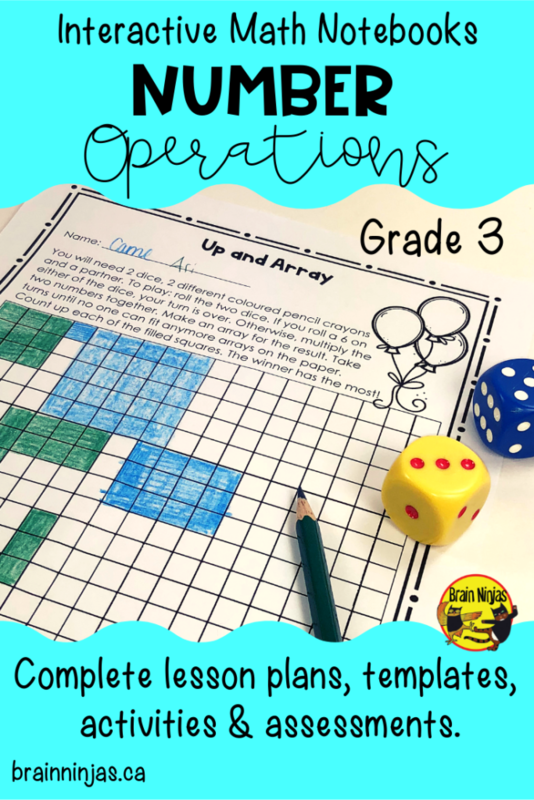 The Solution: We used to piece meal our lessons and activities from all over the place, but we found the most useful thing we did was create our own versions of the interactive math notebook that was specific to our outcomes that we needed to teach. 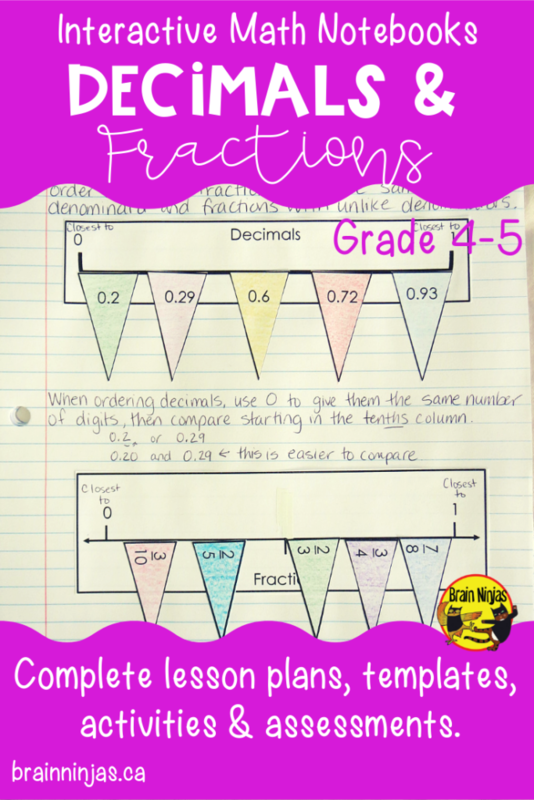 So, you have Interactive Math Notebooks on the brain and want to give them a try? 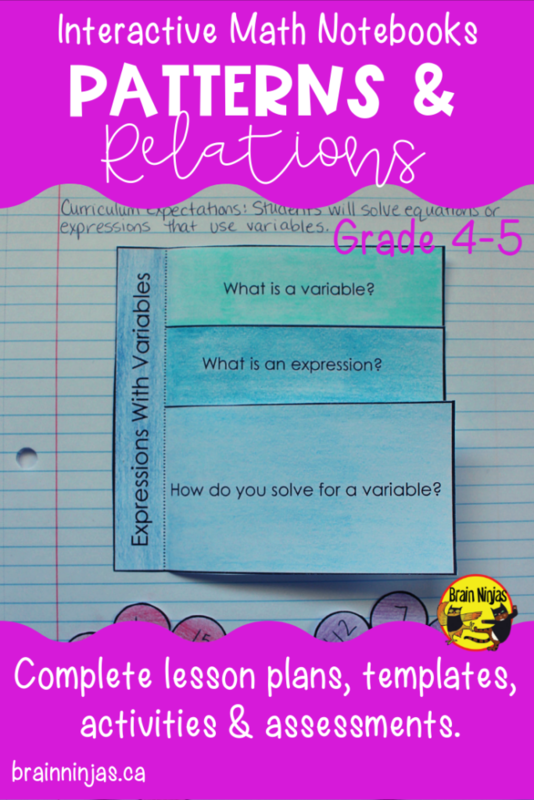 Our Interactive Math Notebooks include all our engaging lesson plan templates, complete lesson plans for teachers, activities for students to use to reinforce concepts, practice pages for students to use and assessments that you can use to check to see if your students understand everything you’ve taught. 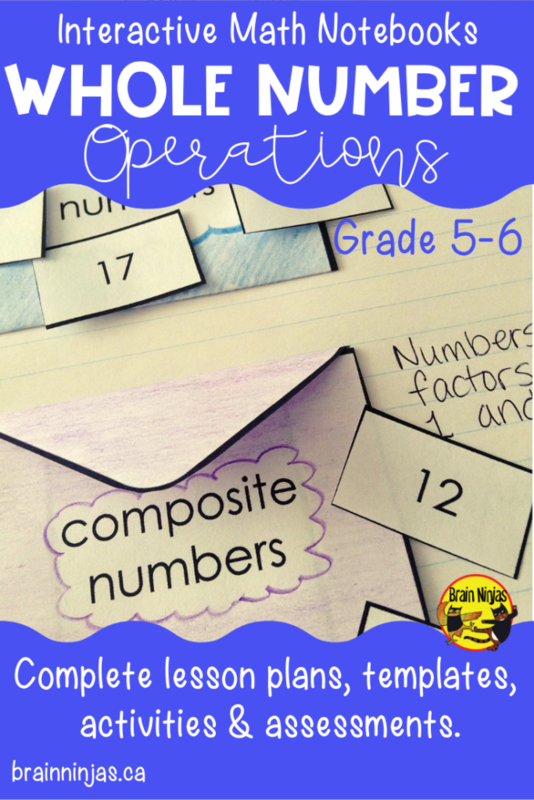 Check out our math resources. 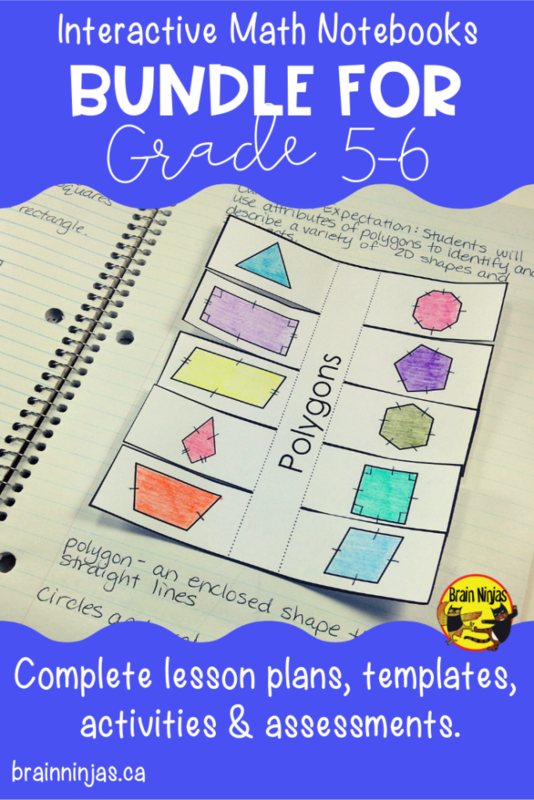 We specifically design math lessons for Alberta, but they can be used across Canada. All of our lessons use the metric system and SI notation (that’s where we use spaces like 84 292 instead of commas like 84,292). Our interactive math notebooks are designed to align with Alberta, Canada standards, but you can check to see if they align with your district, provincial or state standards by clicking on the preview of any product. *We often get asked why we created the 4-5 or the 5-6. Why not just one grade? 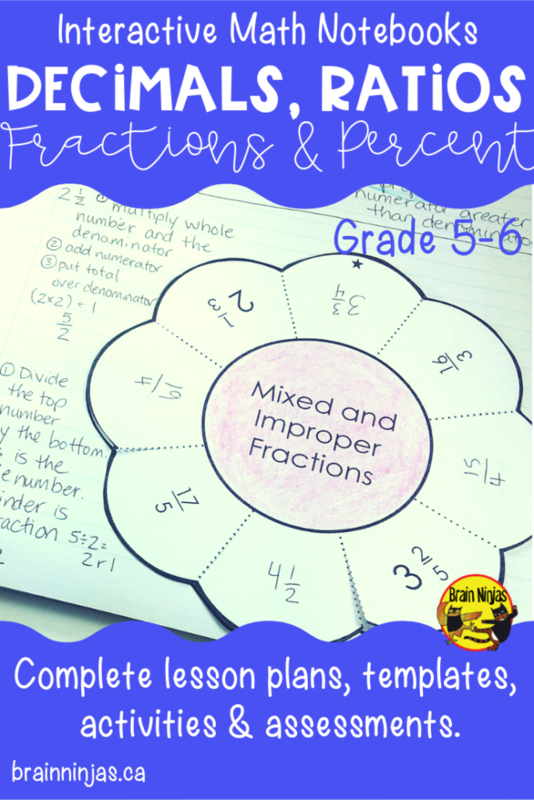 The simple answer isn’t quite so simple, but for years not we’ve taught a combine Grade 4/5 class and we used whole group instruction for the majority of the math concepts. We needed something that worked with both grades at the same time. BUT there was an unexpected bonus. We realized it was much easier to differentiate for our students with the range of outcomes. No class will ever have every single student working at grade level (and if you do let us know how you managed that). 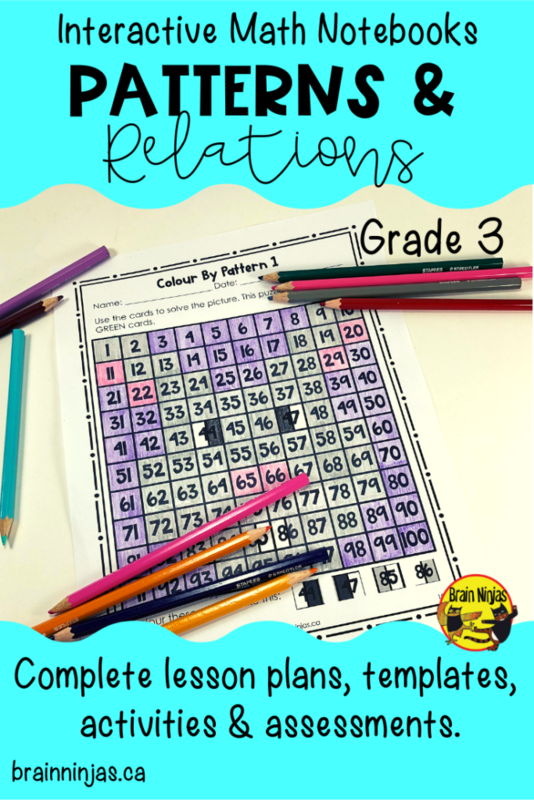 So, if you have a bright grade four class you can challenge them a little. If you have a weaker grade five class you can help reinforce some of the concepts. 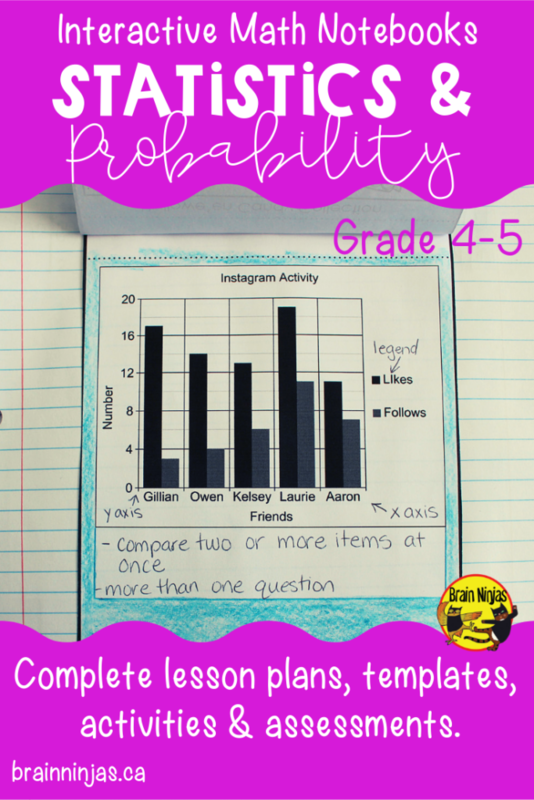 What has your experience been using interactive math notebooks? 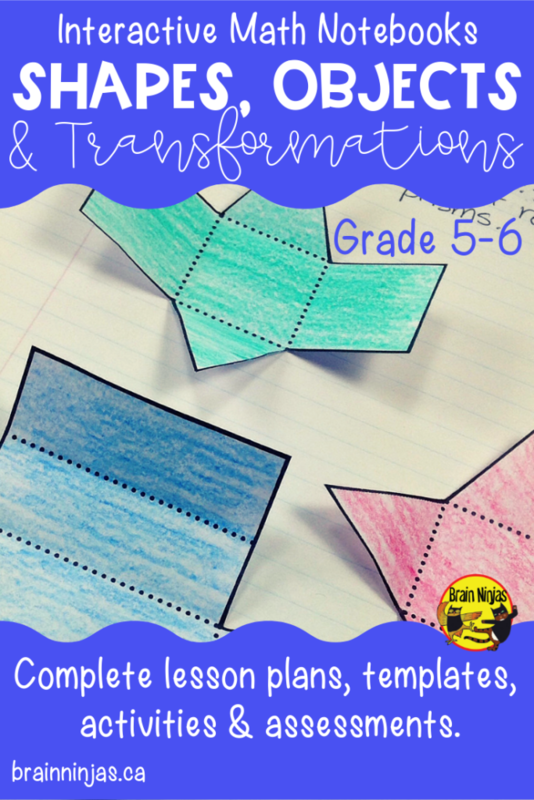 Do you have other tips or tricks that you have learned while using interactive notebooks? Are you struggling with a problem that we didn’t mention? Share your ideas with us in the comments below. Makerspaces: They seem to be all the buzz, but the concept that drives them isn’t new. For many years, we’ve been focused on directing every moment of our students’ lives. As parents, the lives of children are scheduled to the point they never have a moment to decide for themselves what to do. So when did we decide as adults that play is a bad thing? Exploration is key to problem solving, critical thinking and self-regulation. 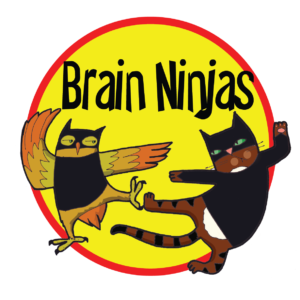 Children learn by role-playing real-life situations, rearranging toys, touching materials or using items in unconventional ways. So why not include Makerspaces in our school environments? [Read more…] about Why Makerspaces?